Leaving the track at Coatbridge – I’m hiding behind Charlie Thomson and Jim Orr. I came out of the Army in 1958 and was on the Committee in 1961. It was a very different Committee from most in recent years. First, it was always well attended, second there was almost always competition to get on to the Committee at the AGM and third the top jobs were all held by experienced members. You had to wait your turn – which might never come if the others didn’t think you would make a good Secretary, Treasurer or President. I was unlucky that my first important job in the club came when club treasurer Jim Shields was asked to go to India by Singer’s and one January evening I had a rapid course in book keeping in Jim’s house in Vanguard Street. The job lasted until the AGM when Jim Sweeney took over and I became Assistant Secretary for a year then Secretary – the first of four stints in the post. I didn’t mind doing it because most of the work was done in your own time and didn’t interfere with training. So long as you were organised it was straightforward enough. I represented the club on the Dunbartonshire Committee with David Bowman for two years and attended SAAA AGM’s as club representative for several years. In 1976 it was suggested by David Bowman and agreed by the Committee to put my name forward for membership of the SAAA and at the AGM in 1977 I was elected on to the General Committee of that body. That involved at least one night a month at Committee Meetings which alternated between Glasgow and Edinburgh. I also served on the West District Committee and the Joint Coaching Sub Committee as well as on a couple of ad hoc sub committees. Again I learned a lot about organisation – for instance I was convener of the Senior National Decathlon Championships for three consecutive years. I stood down in 1980 because of the pressure of work, club commitments and family duties – Liz was 10 and David was 8 and we were thinking of moving house at that point. Thereafter I served on the club committee off and on for the next twenty five years or so. I was lucky enough to hold the posts of President, Secretary, Assistant Secretary and Captain more than once each as well as the very short period as Treasurer. In 1961 the continuing saga inside the club was the lack of coaching and coaches. A meeting was held and several members went on coaching courses as a result. At that time there was a qualification for ‘Club Coach: All Events’ and I did that one. I then started coaching the Ladies Section where I was lucky enough to work with some excellent athletes such as Lynn Dollin, Ann Hannah and Carol Campbell. All went well until I married in 1966 and handed the job over to a very good group of coaches. The next coaching venture came when Robert McWatt, George Carlin and Dougie MacDonald asked me to coach them in the mid 1970’s. That went well and Robert picked up two Scottish Junior International vests as well as a good collection of championship medals and Dougie became President of Glasgow University with a collection of Scottish Universities’ international vests. The group grew to include many good club runners like Charlie McIntosh, Paul Ross, James Austin and Peter Halpin. We did our training as a group on Wednesdays at Coatbridge so as not to take the guys away from club nights on Tuesday and Thursday. When Frank Horwill (founder of the British Milers Club) recommended to Hugh Forgie of Law and District AAC (a 3:48 1500 metres runner/1:53 800 man) that he train with our group it added a new dimension to the coaching. His presence not only provided a new challenge to the group but also brought along others of a very high standard such as Alex Gilmour and Eddie Stewart of Cambuslang. 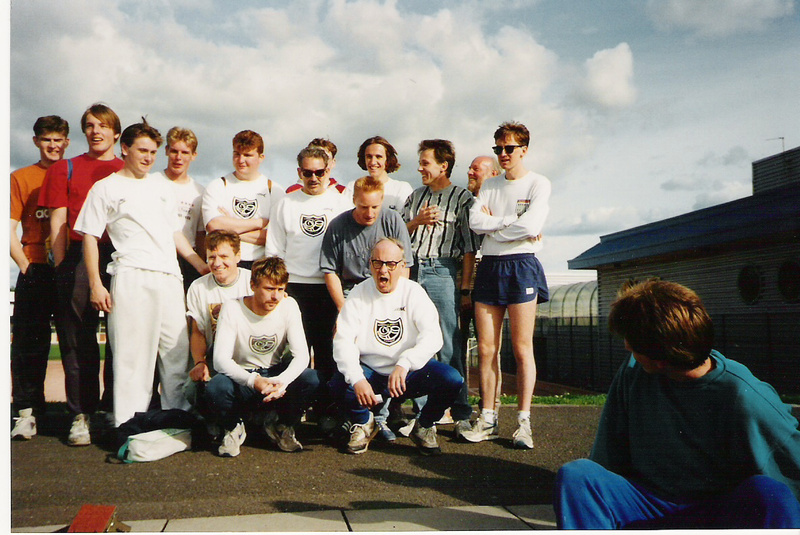 At one point there were ten current Scottish Senior Road and Cross Country Internationalists training with the group. I had my first GB Internationalist when Sam Wallace (who had twice won the British Junior Indoor 1500 metres) was picked for the Under 20 match against Poland and East Germany. The higher profile saw me asked by Alex Naylor in 1986 to take on the post of Scottish Staff coach for 5000 and 10000 metres events. I did that and my education as a coach progressed. 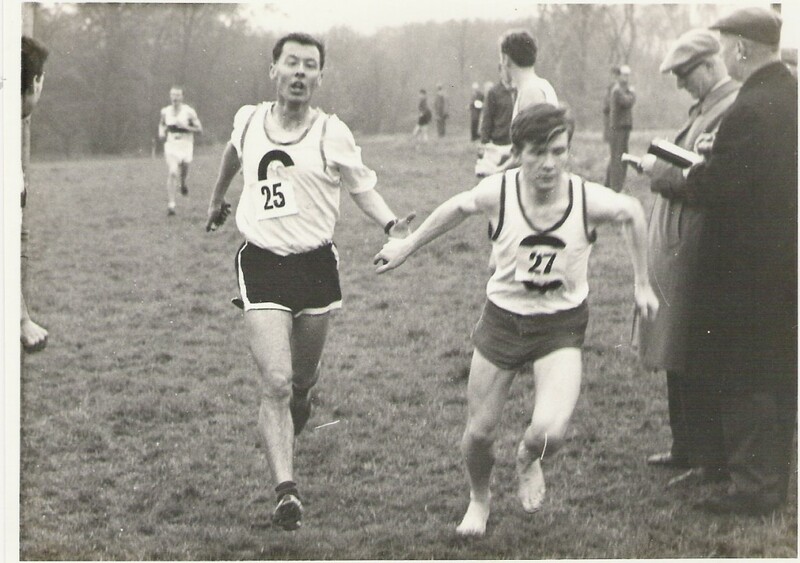 Meanwhile I was Scottish Secretary for the British Milers Club putting on six or seven paced races a year designed to help runners get fast times and in one of these Paul Forbes set a new Scottish All Comers record for the 800 metres. The BMC involvement meant travelling south of the Border for coaching week ends and actually working with squads of top class athletes from other countries. I was emboldened to hold the BMC’s AGM and Training Weekend at Jordanhill with Peter Coe (Seb’s coach and father), Jimmy Hedley (Steve Cram’s coach), Sean Kyle (from Ireland), Malcolm Brown, Alex Naylor and of course Frank Horwill all in attendance and all of those who came (over 100) profited from the experience. I was made President for a year and then life member of the BMC. 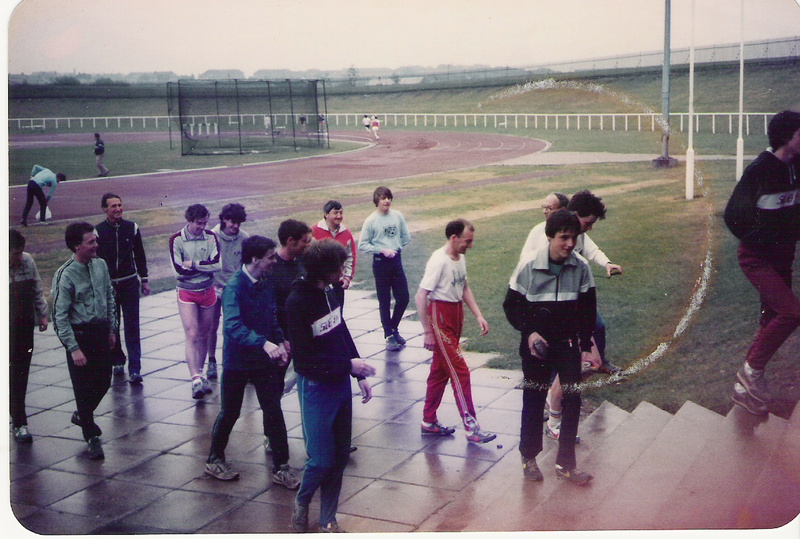 But the work in the club and with the Scottish group was taking so much time that I had to stop the actual hands on stuff with the BMC to concentrate on that although I did more travelling – almost once a month – to Stretford for the BMC Tuesday night races with many athletes and not just the very top men. This contact with the best coaches in Britain was invaluable. Domestically, I was asked by National Coach Andy Vince to move over from the 5000/10000 metres job and become Scottish Coach for the 800/1500 metres which I did for three years. Then in the mid 90’s I was invited to be Group Coach for all the Endurance Events from 800 to Marathon (and including Race Walking of which I knew nothing!) The money paid at that time was £240 a year which you could not claim in one go; it was £120 at six monthly intervals – it really didn’t cover the phone calls – and you had to provide receipts. All the Staff Coaches were in effect subsidising the SAAA’s. The one assisted the other. For instance, via the BMC I managed to get Steve Cram to come to Largs and speak to a group of younger Scottish athletes (ie Under 20 and Under 17). Then when the BMC Grand Prix series of five meetings devoted entirely to Middle Distance events started, it took two years of hard work and planning to get them to hold their final race every year in Scotland at Scotstoun in Glasgow. The first year had seven men’s 800’s, four men’s 1500’ three women’s 800’s, two women’s 1500’s and a 3000 metres for each of them. It was only after I resigned and the races were organised by Scottish Athletics in Edinburgh on a Friday night instead of a Saturday afternoon, that the momentum was lost and the meeting was lost to Scotland. The point was that in both cases BMC contacts were being used to the benefit of Scottish middle distance running. When the organisation of Scottish Athletics was reshuffled in 1996/97 I stood down and did not apply for any subsequent post at national level preferring to work more locally. I became team manager in about 1983 and kept it until 2002. 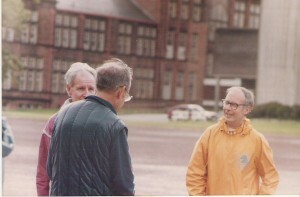 Realising that it was an impossible job for one man, I decided I’d be a co-ordinator rather than an overall selector and only deal directly with the Middle Distance group (partly so that I could give my own athletes the races they needed at any particular moment) and Billy Hislop took charge of the sprinters. We then gathered a very good group of coaches to work with us; Scott Govan became a Senior High Jump Coach and a hurdles coach, David Gibson took up pole vault coaching and was Scottish Staff Coach for the event for a while, Bobby Bell took over the Throws and specialised in Shot and Hammer. The coaches did a lot of their own recruiting and selected their sections of the team which did superbly well. Without all the help it would not have been a success: at that time I was working with four or five really top class runners who needed a lot of maintenance, serving as Scottish Coach for one event or another and doing a lot of lecturing at various venues and of course there was the day job and family commitments. And that’s it. I enjoyed it all – mind you, I just wish I were running in races in the club vest again, that was the best time of them all! Whatever fun and pleasure you get in athletics – and it is considerable – I was probably happiest just running and racing with people I liked and respected.